Add a little romance to your life with this beautiful ring from Alex Monroe. 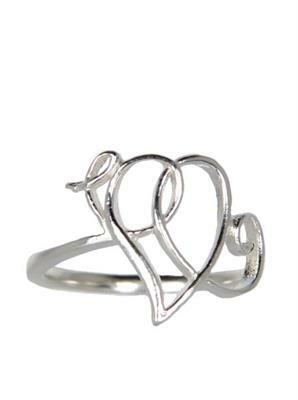 A delicate Sterling Silver band is twisted into a heart shape to create an elegatnly simple ring. Dimensions: Available in UK sizes L & M. Please specify size in the notes box when ordering. Note: Due to this item being an end of line product it will come in non-branded packaging and without a warranty.